For those who drive, there is no better feeling than getting behind the wheel of a car that you love; a car that you enjoy spending time in. That's why, when it's time to buy a new car (or at least one that's new to you), it's important to do a little research. It will be time well spent, because the research you do today can go a long way in ensuring you'll enjoy your new vehicle for years to come. While taking the vehicle out for a test drive certainly counts as research, there's much more to know about your potential new car than what you'll glean from a test drive. You should also consider the cost of auto insurance, fuel efficiency, resale value, as well as how well the vehicle will protect you in a collision. The Canadian Black Book helps you to find out what the car is really worth. It also features a handy tool that estimates how much the car will depreciate over the next five years. Consumer Reports regularly reviews vehicles and scores them based on road tests, predicted reliability, owner satisfaction surveys and safety features. Gas is a pricey commodity and Natural Resources Canada's Fuel Consumption Guide can help you budget for the gas money you'll need. Although the guide only features the current year's model vehicles, they have a separate tool that features the fuel consumption ratings of older model vehicles too. If you're buying a used car, the Insurance Bureau of Canada has a VIN Verify service that can help you check if a vehicle was ever reported as flood-damaged or non-repairable. Each year, the Insurance Institute for Highway Safety (IIHS) recognizes the vehicles they feel are some of the safest on the road. Vehicles that have earned the IIHS Top Safety Pick or Top Safety Pick+ award are likely to protect you best if you're ever in a collision, or are equipped with the technology that can help you avoid a crash in the first place. Some vehicles simply cost more to insure. Compare auto insurance quotes at Kanetix.ca to see how much the car you've got your eye on will cost you to insure each year. Transport Canada's Road Safety Recalls Database gives you the opportunity to see if a vehicle has been recalled. New or used, if there has been a recall on the car you want to buy, you can see what the problem was and what corrective measures are needed. Vehicle history reports, from services like CarProof, can give you some much needed background on a used car you are interested in buying. 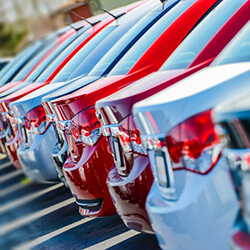 These reports typically include details like whether or not the vehicle has ever been in a collision, stolen, or if there are unfixed safety recalls that still need to be corrected.